"Leo Cullen's Leinster side are the favourites to retain the trophy and are widely fancied to produce a strong defence." Leinster swept all before them last season on their way to lifting the Champions Cup for a record equalling fourth time. The Irish giants were exceptional on their way to the final before having to grind out a 15-12 victory over Racing 92 in Bilbao. Leo Cullen's side are the favourites to retain the trophy and are widely fancied to produce a strong defence. Wasps face an almighty task in their European opener with a trip to the RDS Arena among the toughest assignments in the competition. Dai Young's side failed to progress from the pool stage last season and have it all to do if they are to reach the quarter-finals this time. Leinster should win with something to spare, beating Wasps by 15 points last year, so a victory between 11 and 20 points offers potential value. Bath return to Champions Cup action after a mixed set of results in the Premiership this season. Todd Blackadder's side have lost their last two games but these came against formidable opponents Saracens and Exeter. Toulouse have also failed to hit top gear in the Top 14, lying sixth in the standings, as they seek to challenge for domestic and European silverware. This looks a finely balanced clash with hosts Bath deemed three-point handicap favourites. Toulouse are traditionally not great travellers and have won only once on the road this season. Bath have beaten Toulouse in their last two clashes, including a 21-19 home win four years ago, with the English club backed to edge to a win by no more than 12 points. Exeter have been in sensational form this season and the Chiefs look well-placed to launch a major European challenge. The Premiership leaders defeated Bath last weekend to make it six successive league victories. Munster's form has been less convincing with three wins and three defeats so far in the Pro14. Munster have been beaten in all three away matches this season and this run is likely to continue at Sandy Park this weekend. Exeter have so much momentum on their side and the hosts should have too much quality for their opponents. The Chiefs have won each of their home games by at least 17 points and look worth backing to cover a nine-point handicap. Ulster have had mixed fortunes this season in the Pro14 with three wins and two defeats but will be confident about making a fast start in the Champions Cup this weekend. Leicester have won their last two matches under interim coach Geordan Murphy but the Tigers have also been inconsistent and have failed to make an impression in Europe in recent seasons. These teams are no strangers to each other with plenty of recent meetings and Ulster have had the upper hand. Ulster have beaten Leicester in all four home matches and eased to a 26-7 win in their last meeting in 2015. The hosts are fancied to maintain their stranglehold over Leicester at the Kingspan Stadium and can cover a two-point handicap with something to spare. Gloucester were beaten in the final of the Challenge Cup by Cardiff last season and the Cherry and Whites will be setting on their sights on another extended run in Europe after making their return to the elite competition. French champions Castres have made a solid start to the their Top 14 defence after four wins from their opening seven games. While Gloucester may deserve favouritism, the visitors look worth getting on side with a generous handicap advantage. Castres are given a 14-point head start and this looks well worth taking. The hosts have only managed to cover this once this season, in a home victory over Bristol, so this opener does not look a foregone conclusion for Gloucester. Glasgow have made another strong start to the Pro14 after winning four of their first five matches but the Warriors will face a severe examination against the Premiership champions. Saracens have won all six matches this season and Mark McCall's side have not lost since their Champions Cup quarter-final defeat to Leinster in April. This looks one of the matches of the weekend but Glasgow will have it all to do to keep out Saracens. The Men in Black have been unstoppable this season and can maintain their perfect start with a win at Scotstoun. All of Saracens' away wins this season have been by no more than 12 points and another tight victory is forecast for their European opener. Newcastle face a huge task in the Champions Cup this weekend with a trip to Toulon. The Falcons punched above their weight to finish in the top four of the Premiership last season but it has been a sorry start to this campaign with five defeats from six games leaving them bottom of the table. 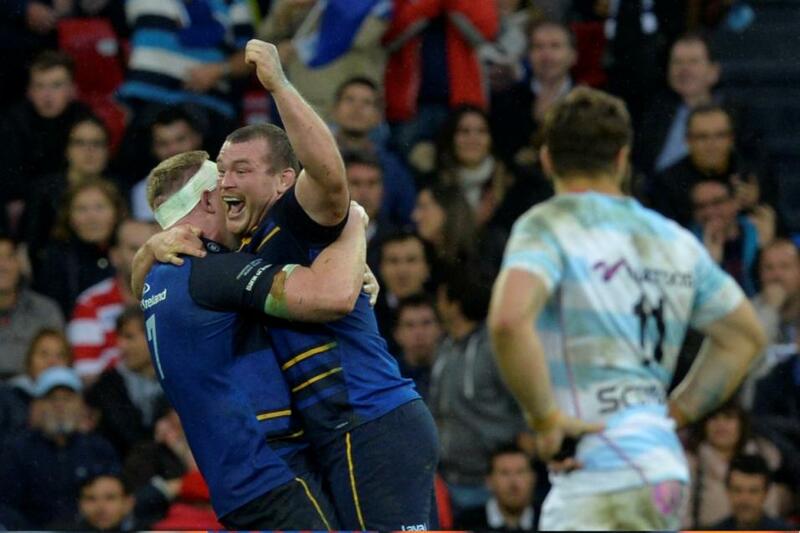 Dean Richards' side will need a spectacular improvement to pull off an upset in France. Toulon have been disappointing in the Top 14 this season, losing five of their seven matches, but their pedigree in Europe cannot be questioned. The three-time champions will want to make a statement with a fast start and it could be a long afternoon for Newcastle. The handicap is set at 13 points and Toulon can put down a marker with a convincing home win.